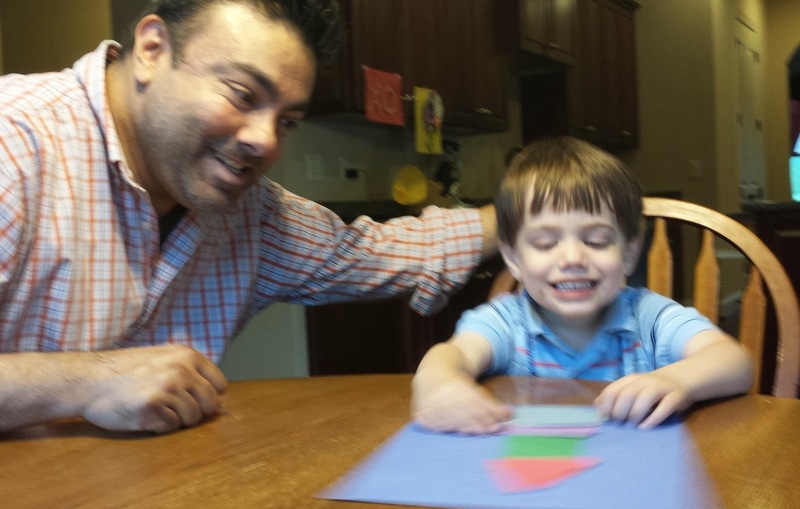 Maggie's Big Home: Blast Off to Math Readiness! Blast Off to Math Readiness! Language is so important as preschoolers develop concepts. Closeness with family and friends helps makes these ideas more meaningful and attaches a sense of pleasure to developing skills. Because many teenagers and older elementary students report math anxiety, we feel it is helpful to attach positive feelings about math with family time. Below are fun and meaningful ideas that help develop math skills, vocabulary, understanding of concepts, and a positive mathematical outlook. Make geometry real by cutting out various shapes; squares, rectangles, triangles, and circles. Encourage lots of talk about these shapes as you hold them up and have your child name them. Children can talk about both shape and color. Discuss how the shapes can be put together to form a rocket. 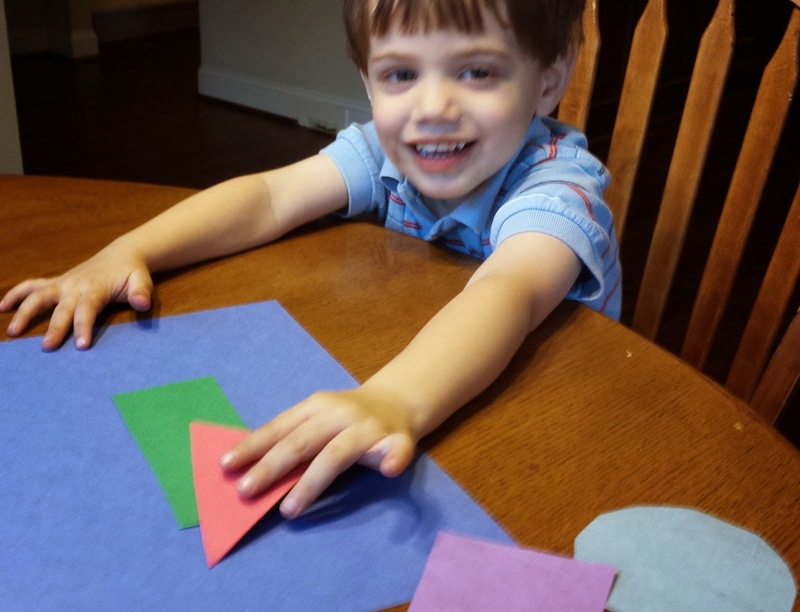 Provide your child a large piece of paper, the shapes, and glue. Anytime children participate in art activities, you are also developing important fine motor skills, too. Encourage that wonderful preschool imagination! 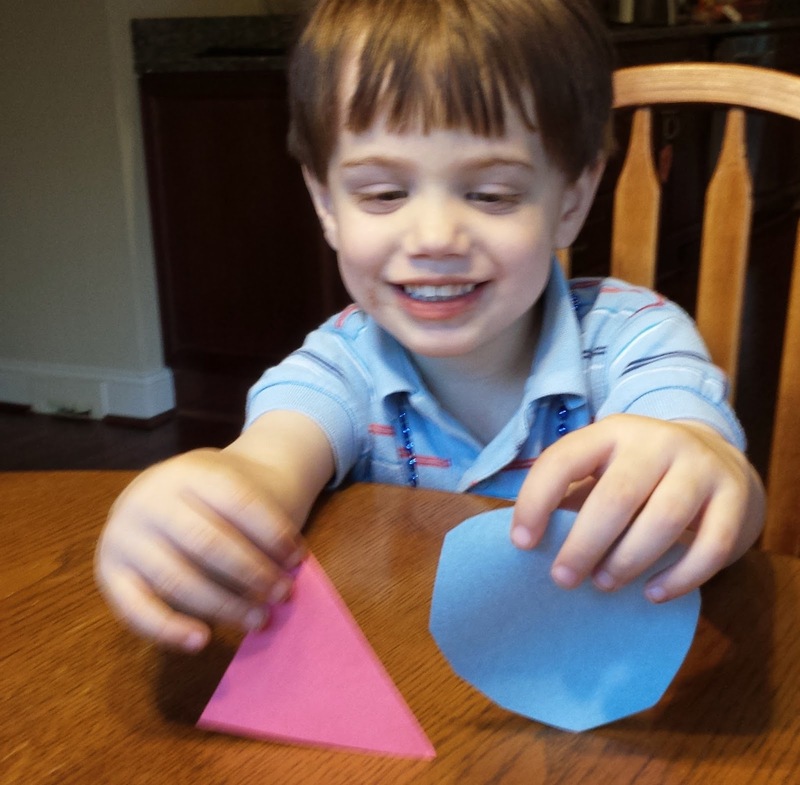 Allow your child to place the shapes on the paper to make a rocket. Remember – it doesn’t matter if the rocket looks like a rocket to your eyes, it will be a rocket in your child’s eyes! When children share activities with parents, it leads to positive feelings about important concepts. You have just set the stage for positive feelings about geometry. Now…5, 4, 3, 2, 1 – let’s add another math skill. Children who know how to count backwards possess an important background for subtraction. Blasting off and counting down from 5 or 10 makes this a part of preschool play. 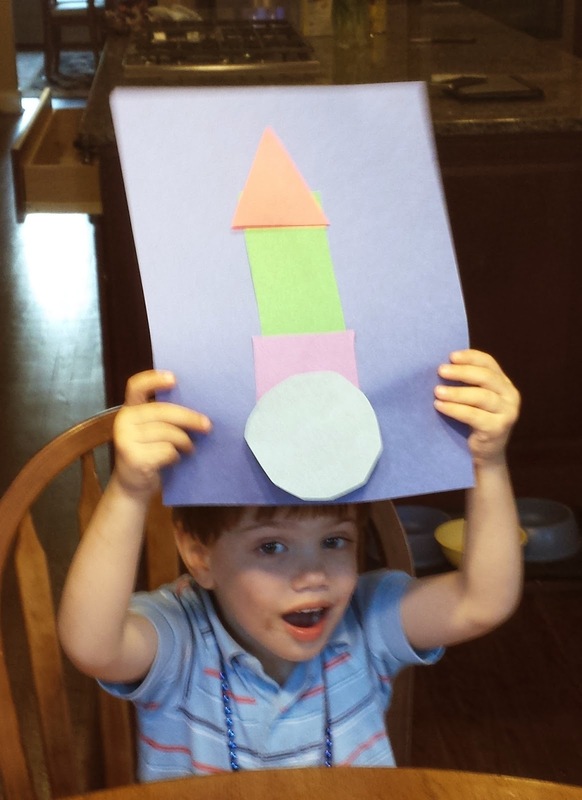 So, use the geometric rocket to role-play a NASA rocket lift-off. Develop this precursor subtraction skill by pretending to be “mission control” as your child engineer counts down to lift-off. Blasting off to positive feelings about math! Scientific Inquiry: Develop It Naturally!